An artificial, bio-inspired leaf. Carbon dioxide (red and black balls) enter the leaf as water (white and red balls) evaporates from the bottom of the leaf. 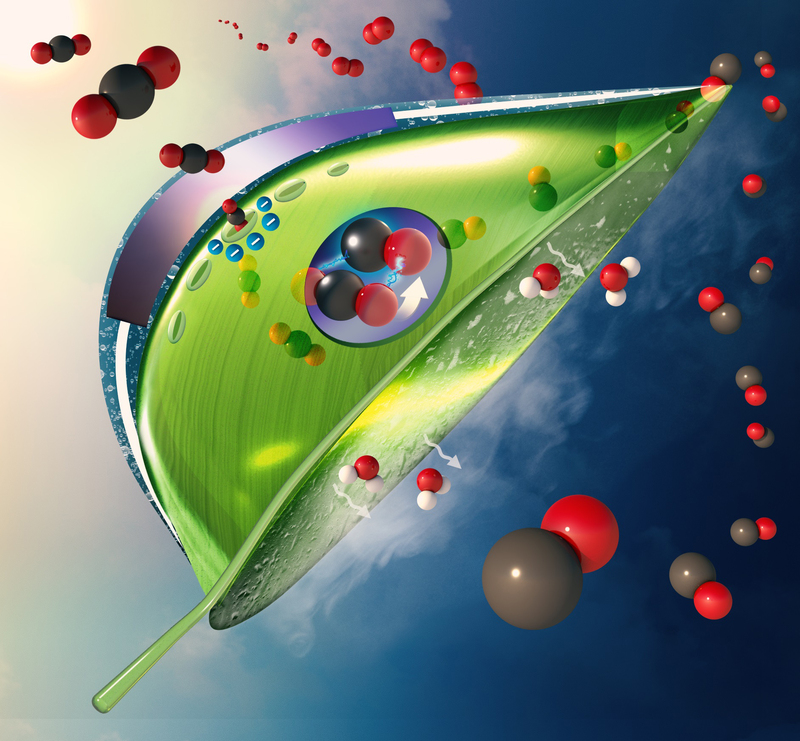 An artificial photosystem (purple circle at the center of the leaf) made of a light absorber coated with catalysts converts carbon dioxide to carbon monoxide and converts water to oxygen (shown as double red balls) using sunlight. (Image: Meenesh Singh). This work was performed at UIC’s Materials and Systems Engineering Laboratory. The chemical engineering department provided financial support to conduct this research. A part of the funding was provided through UIC’s provost graduate research award.